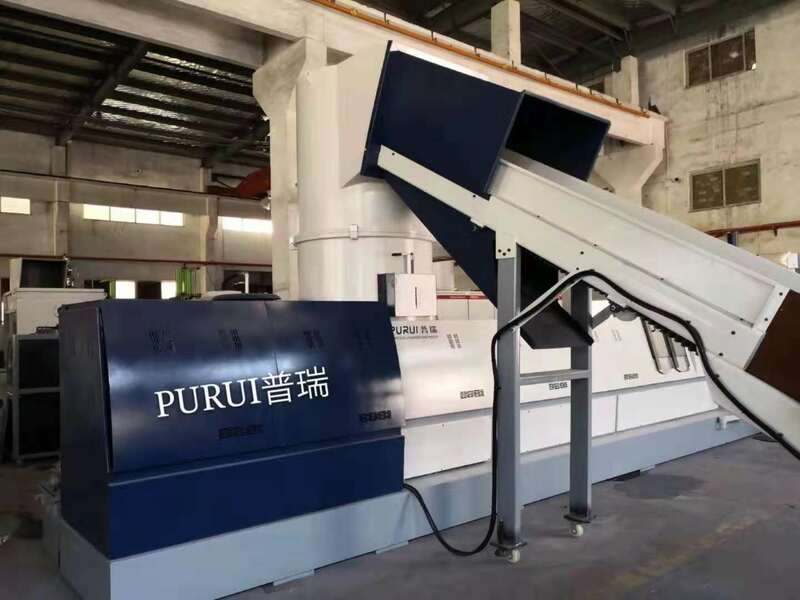 From shredding compactor, the material is transported directly into the extruder by a belt conveyor without being precut or compressed. 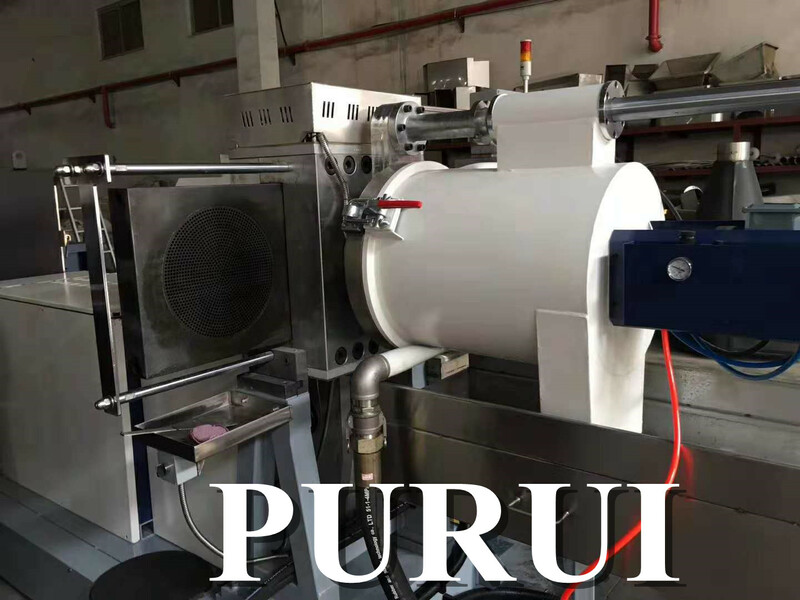 The rate of material feeding is controlled automatically by the current of the extruder motor and main extruder screw rotating speed. 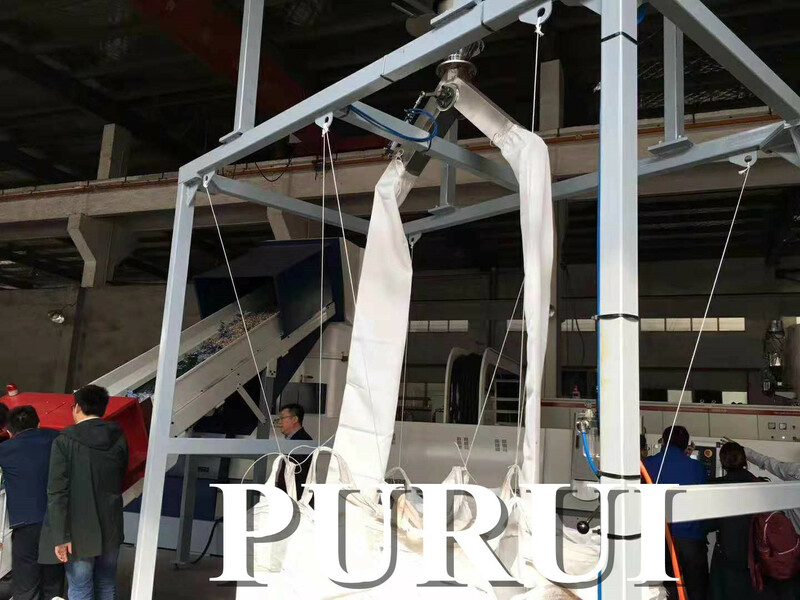 This design will keep material with balance feeding, and protect material from blocking and melting in the shredding compactor. 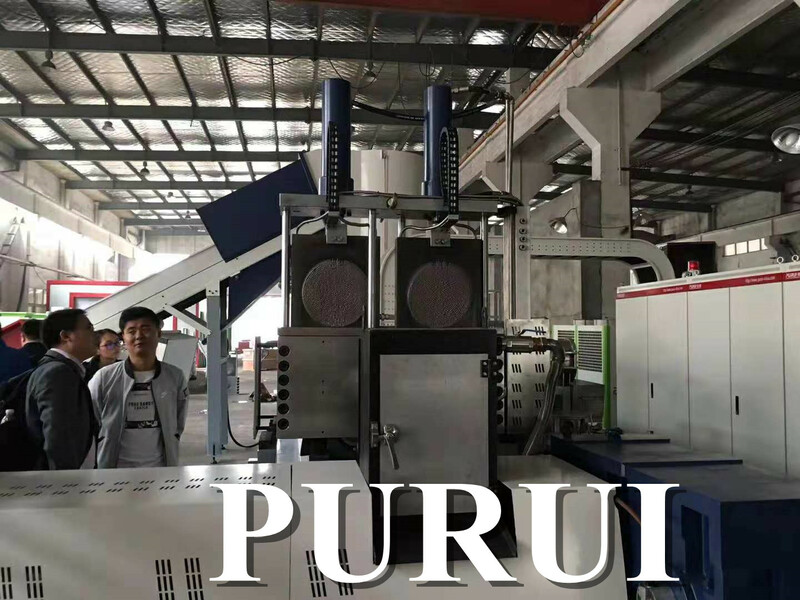 Melting plastic is filtered by a continuous melt filter (plate hydraulic screen filter, double volume screen changer) available with or without back-flushing system. 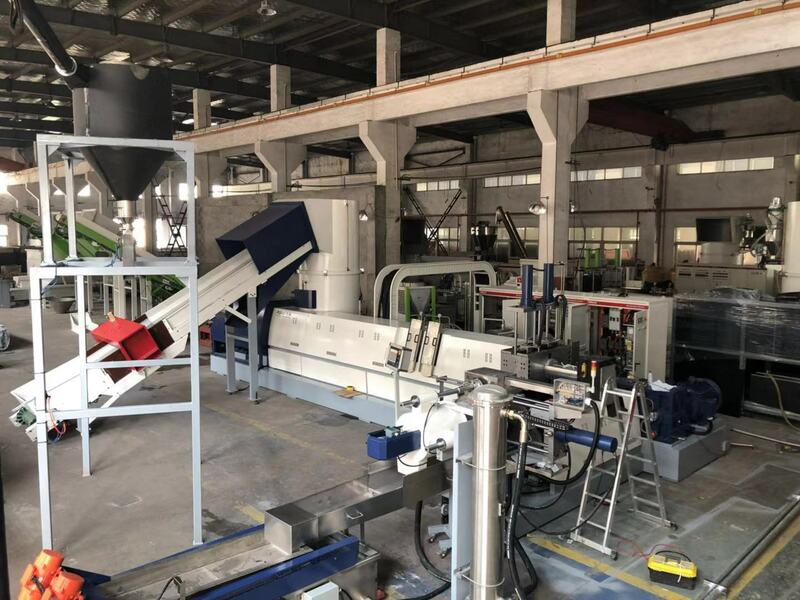 According to material type, the pelletizing way can be equipped with a water ring, strand or underwater pelletizing system.